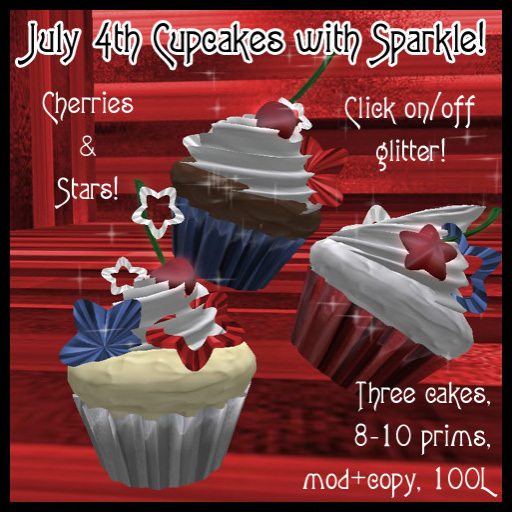 Cupcakes & Poetry July 4th goodies!! If you haven’t heard of this place, you don’t know what you’re missing. Cupcakes & Poetry is this awesome store that sells unique and artistic themed cupcakes suitable for any occasion. The store is owned by my good friend Elise Capalini. She does custom so if you don’t see anything you want (which I highly doubt) she can definitely make something just for you! Elise was kind enough to let me preview her 4th of July items which by the way are fabulous!!! 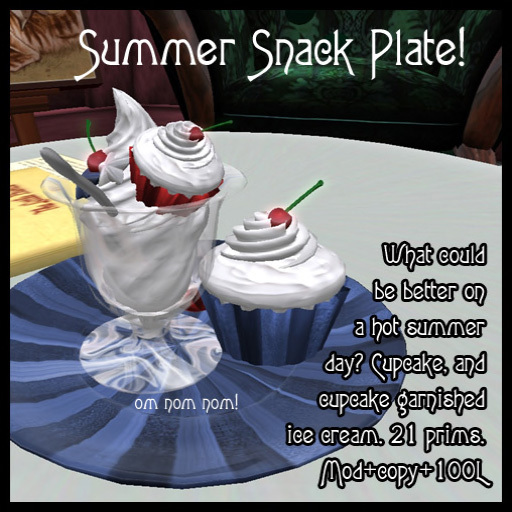 My favorite is the 4th of July Sparkler Cupcake Hat 🙂 I must say I look uber cute and quite festive…lol If you want any of the items shown, visit her store inworld at Cupcakes & Poetry. 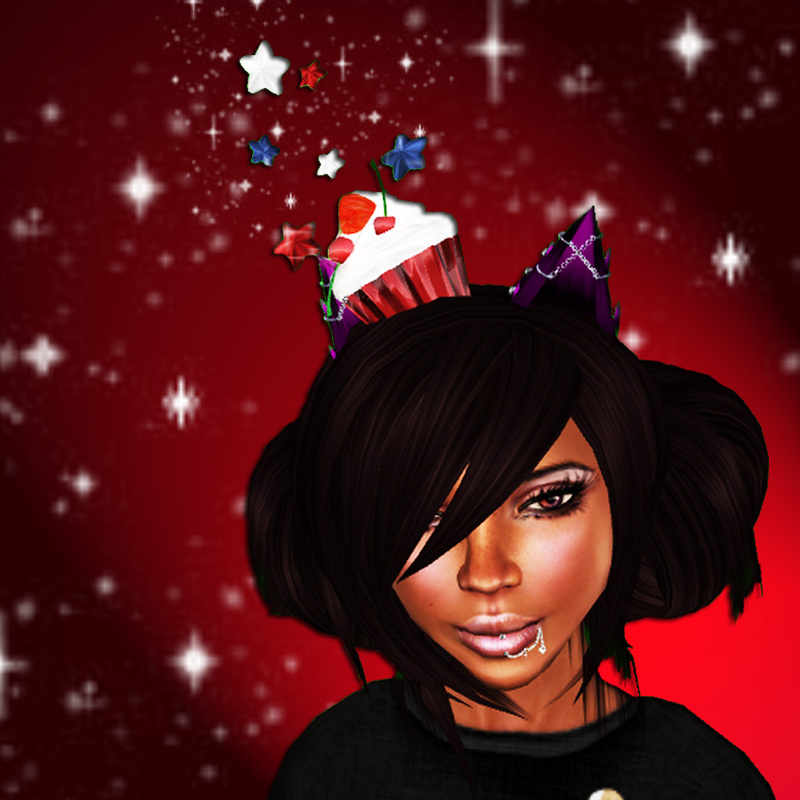 ← GLITTERATI ANNUAL SUMMER SALE!! !